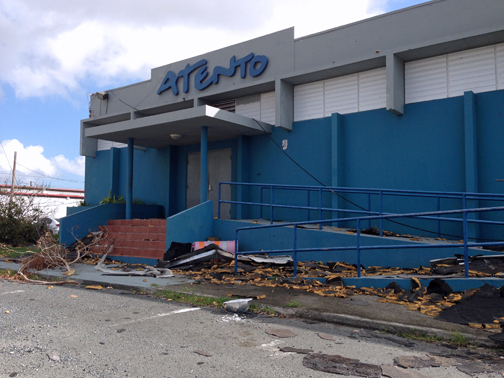 Atento's facilities in Caguas suffered significant damage. Atento’s facilities in Caguas suffered significant damage. Customer relationship management and business process outsourcing solutions company Atento, which employs about 900 people in Caguas, is evaluating its options to possibly relocate its call center there, town officials confirmed Tuesday. The operation — located in the Caguax sector of the town — has not reopened since Hurricane María made landfall on Sept. 20, as the building lost part of the roof, sustaining significant damage, Zamia Baerga, secretary of economic development for the Municipality of Caguas confirmed. Attempts to reach Atento officials in Puerto Rico and Spain were unsuccessful. The company has a number of major clients, including T-Mobile, which has its customer service center there. Meanwhile, town officials have located a privately owned building that Atento could use temporarily, which is outfitted with the required technology and telecom infrastructure, Baerga said. As for other major operations, Baerga said the municipal government has been inspecting all of its industrial parks — in Valle Tolima, Villa Blanca and Río Caña — to determine what needs to be done to help tenants move forward after the storm. So far, she said Abbott is starting to re-open, while medical device firm Terumo and Mylan have yet to restart operations. A fourth manufacturer, Neolpharma, has yet to establish contact with the town. Caguas has no electricity and limited wireless communications. The municipality has set up a center where it is providing services to businesses — from self-employed to larger operations — so they can “reactivate themselves quickly,” Baerga said. So far, about 160 business operators have sought assistance at the center, she said. 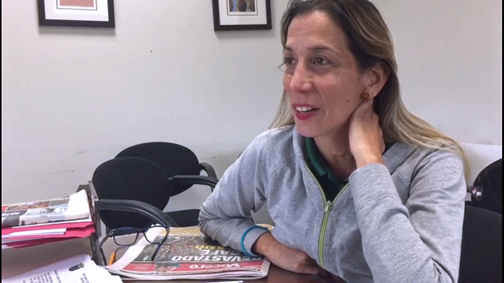 Caguas has 5,000 municipal permits registered by businesses of all sizes, Baerga said. Hey Buddy!, I found this information for you: "Atento evaluating Caguas re-opening, as town recovers". Here is the website link: https://newsismybusiness.com/evaluating-opening-recovers/. Thank you.